A festival of trans, non-binary and gender queer theatre. When did you come out as male? Or female? We’ve partnered with Metal and Camden People’s Theatre to host a festival of performances and workshops from gender-anarchists with more questions than answers. It’s not going to be pretty – but it might just be beautiful. At the Key Theatre and Metal Chauffuers Cottage. 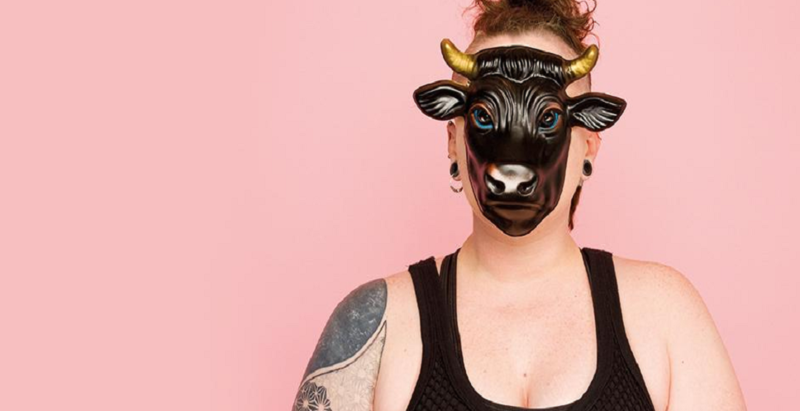 From the makers of smash hit Joan (Off West End, Fringe First and Stage Award winner) Milk Presents bring you Bullish – a new mythical play with songs, negotiating ancient and new territories in trans-masculine gender and identity. ★★★★ ‘A triumphant piece of theatre that is entertaining and thought-provoking in equal measure’ Everything Theatre. Tickets: £13.50 (£11.50 Concessions). See both Bullish and Non Binary Electro House for £19. Non-Binary Electro Hour brings together noise about queer life, and desire for queer/trans bodies, with a brief punk history of drag outside the boxes – from queer stars of stage and screen to the gender-bending icons of today. A night of explosive new work from local trans, non binary and gender queer artists. Our Come As You Are Festival Scratch event will feature three 20 minute performances of new ideas in development. Expect brand new works in progress, never-before-seen ideas and some of the freshest work from the most innovative and exciting local theatre-makers, based around the themes of ‘Come As You Are’. Applications to have your piece programmed in the festival scratch night are now open. Deadline to apply 27th Sept. More information about how to apply here. Join us for a night of brand new work-in-progress from local artists. Let us know you coming by reserving your place here. This is a show about the slippery nature of identities the ones you give yourself, the ones forced onto you and the ones that were once strong and now you are just clinging on to. More specifically it’s a show about breasts, gender and using urinals. But mostly it is about baring all. Tickets: £10.50 (£8.50 concessions) – book your tickets here. 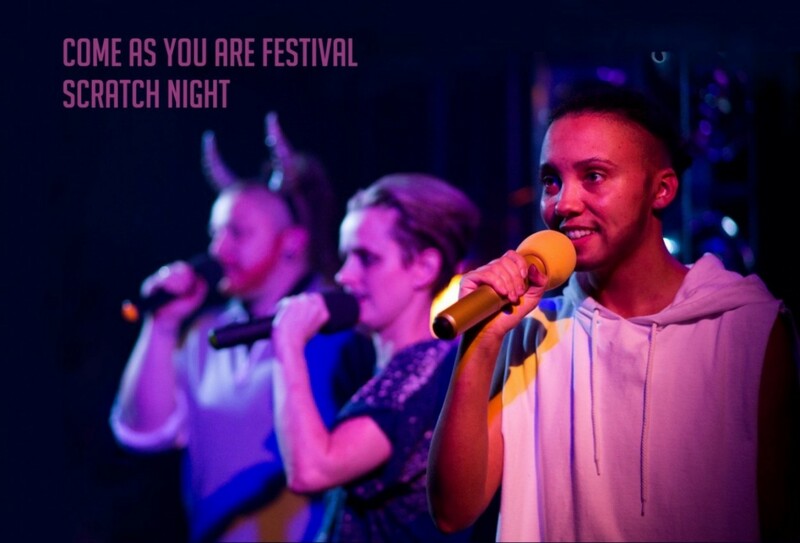 As part of the ‘Come As You Are’ festival and in partnership with Peterborough Pride, Metal and the Kite Trust are hosting an open discussion exploring What a Queer Peterborough for young people could look like? We are very keen to hear from anyone growing up queer or questioning in the city and surrounding area – what are your experiences and what could a better future look like for lesbian, gay, bi, trans, non-binary, queer, intersex and asexual youth in Peterborough? How do we make it bright? The focus of the discussion will be led by who is in the room but could range from the need for spaces and places to meet, better programming and activities with young people in mind, to improved access to information, advice and support. It is an opportunity to share experiences, voice concerns and hopefully move toward solving some problems. Everyone is welcome. We are very keen to hear from young people themselves, their families and friends, those who work with young people (eg. health, youth services, schools and colleges) and potential funders. We really need to hear your ideas and experiences. We appreciate that coming to a public event and sharing this stuff can be scary or impossible for some. If you would like to contribute but can’t attend in person, drop us an email and we will happily share your thoughts anonymously on the day. Some of the performances will be accessible for deaf and hard of hearing audience members using hand-held captioning equipment The Difference Engine. The Difference Engine is developed by Talking Birds Theatre Company to provide access to experimental, small scale and site-specific performance. It broadcasts captions to smart phones and tablets. For more information on The Difference Engine and how to download the app please read this document.